The Vanity Bag Diaries ...: Win StayLean 14 Day Detox Program ! Win StayLean 14 Day Detox Program ! 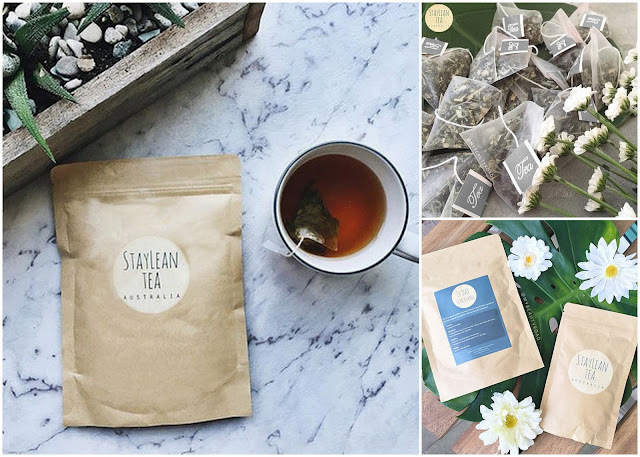 Detox tea is all the rage these days and if you are an Instagram addict, you know what I am talking about. If you have always wanted to try the detox tea for yourself, look no further, StayLean Tea has kindly offered to giveaway the 14 Day Detox Program to one of our lucky readers. One winner will be drawn at random. Please read the terms and conditions before entering. The giveaway is open to Australian residents ONLY. The prize will be sent out by StayLean Tea. The giveaway closes on 19 Feb 2016. Great giveaway! I've been working out and eating a lot healthier recently and I would love to see how much my body improves by adding a detox into the mix! Lovely giveaway! I have always wanted to try one of these tea detox programs. Just letting you know I received my prize today, can't wait to try it, thanks again!